Want to display weather on Ubuntu Desktop? 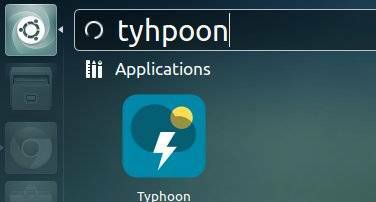 Well, the best choice should be Typhoon since Stormcloud is not available in Ubuntu 13.04 due to dependency problem. Typhoon is a fork of discontinued Stormcloud 1.1 with some changes. It excludes the multiple locations feature because no one can live in more than one places in a specific time except electrons! It also removes ‘chameleonic background’ as it would make the app resource hungry.